Northern Passages opens with "Riverview Fog," a song in the form of a letter (or maybe a phone call) to the Sadies' reclusive old friend Rick White, who Dallas Good used to play with in Elevator, and who the Sadies collaborated with (along with Greg Keelor) in the Unintended over a decade ago. "It's been a while since the last time I saw you, but I know we will always look the same, like April rain," Dallas Good sings gently over acoustic guitar (possibly his mom Margaret's Guild) as the Sadies channel the vibe of a stoned, folky Canadian Kinks. Then, all of a sudden, the record drastically shifts gears for the second and third songs, as if ripping a page from the Sadies' at-times blistering live shows: drums clamour and the band nod to Chuck Berry in the guitars on "Another Season Again"; they churn out self-generated, almost adolescent addiction-related angst on "There Are No Words," which in turn slows and dissolves into a cosmic country outro, as if to say, "oh, right, we're a country band." The track listing might be baffling for the uninitiated, but it actually makes perfect sense: the Sadies go from looking back on "Riverview Fog" to musically jumping back on the next few songs, channelling White's Eric's Trip and Elevator, and the music they made before they became the Sadies. Perhaps it was their surroundings: Dallas and Travis Good, and their bandmates Mike Belitsky and Sean Dean (who must be like adopted family too at this point), literally returned to their parents' basement in Newmarket to record Northern Passages, their tenth album. It makes one wonder: Are we really all that different 20 years on from the way we were when we were younger? As far as the Sadies' music is concerned: Yes, and no. A fixation with the elements and seasons and the slippage of time lingers from the Sadies' last album, 2013's Internal Sounds, which was full of songs like "The Very Beginning" and "The Very Ending." 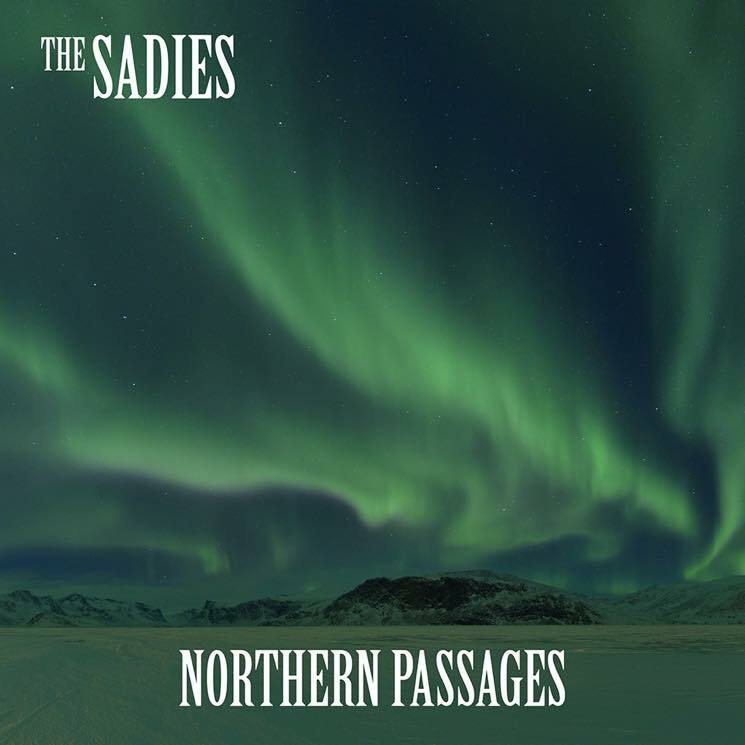 But instead of a cohesive psychedelic country sound, Northern Passages offers a sampling of what the Sadies can do, and have done. The Sadies' past collaborators include Andre Williams, Neko Case, Jon Langford, Gord Downie, Garth Hudson and Neil Young, and it's Kurt Vile's turn here, in the middle of Northern Passages, to step up to the plate. Vile, who once toured opening for the band, is as fluid with his words as Dallas and Travis are with their guitars, succinctly paying tribute to the band who gave him a song to work with by offering the best possible description of what the Sadies are about that I've ever heard: "My left hand's got a permanent air guitar tick / But don't confuse it with a crutch / 'Cause I like it a lot," he says. The Sadies make music-making feel "easy like walking." They sure do. Ironically, the Vile collab is so good that it risks overshadowing the Sadies' own work. The band boldly line up the album's most ambitious, complicated, epic song ("The Elements Song") right after "It's Easy (Like Walking)." The two are apples and oranges, but "It's Easy" is certainly more melodically memorable and instantly replayable. It's bright, jangly and magical, and I hope they do more. The rest of the record sees Dallas take over lead vocals for a few psychedelic folk songs ("Through Strange Eyes," "As Above, So Below" and "Questions I've Never Asked") and Margaret Good sing backup on "God Bless the Infidels" — a Burritos-y criticism of Christianity couched in its own language — and "The Good Years," which is a sad and sympathetic song about a bad marriage. "The Noise Museum," the record's only instrumental, and a familiar nod to Shadowy Men on a Shadowy Planet, see us out.